It also launched a $13,000 special edition of its new X1D mirrorless camera. With Chinese company DJI as an investor, Hasselblad appears to (mostly) be moving away from its period of treating cameras like jewellery. Following the launch of the the first-ever medium-format mirrorless camera, the X1D, it has revealed the V1D concept camera. Its aim was to build a 75-megapixel shooter that resembles its classic Hasselblad V, but can be customized to suit the user. 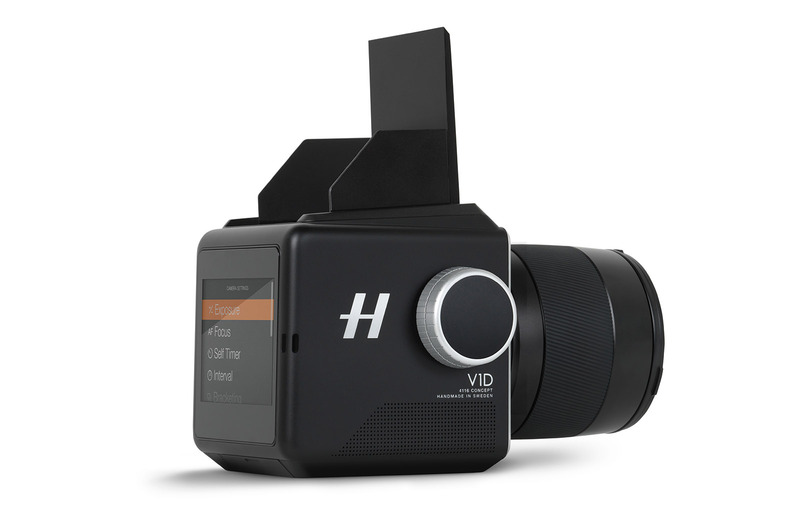 Hasselblad calls the V1D concept a "black box," that lets you equip the top and back with "displays, viewfinders and holders for accessories," while the sides can be fitted with controls, grips and the like. You could use it as is or configure it more like a classic Hasselblad V, the company says. The idea is to make it suit as many users as possible, including left-handers. At the same time, the body proportions and square, 75-megapixel image format are meant to evoke classic Hasselblad models. Hasselblad hasn't said if it has any plans to build one, though. The company still likes squeezing money out of the luxury market, and launched a special edition "4116" version of the X1D. The mirrorless, 50-megapixel X1D medium format camera is Hasselblad's best product in a long time, with a huge 50-megapixel, medium-format sensor and modern features like WiFi, GPS, decent 25,600 ISO low-light sensitivity, dual SD slots and USB 3.0. So, naturally it had make a pricier special edition, the X1D "4116." The $13,000 model comes is all black, and includes a leather hand-strap, extended warranty and custom box. However, it also comes with a $2,300 XCD 45mm lens, so the other items are "just" a $1,700 premium over the regular model. Since this is a company that added some wood to a stock Sony A7 and quintupled the price, we'd call that a win. We're live all week from Cologne, Germany, for Photokina 2016. Click here to catch up on all the news from the show.